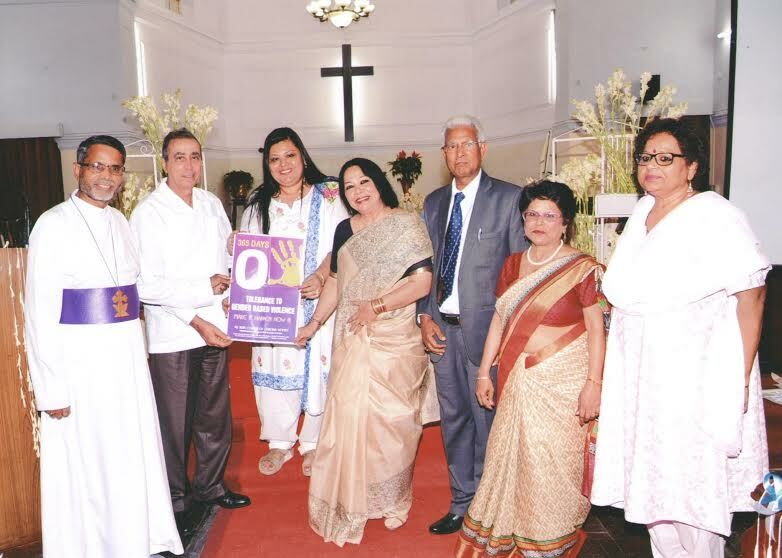 Nurturing Church Women’s Spirituality for Justice and Peace and promoting World Day of Prayer (WDP) is one of the priority focuses of All India Council of Christian Women ( AICCW). WDP is a global, ecumenical movement of Christian women joined together to observe a common day of prayer each year on the first Friday of March. The Motto of WDP is "Informed Prayer & Prayerful Action" signifies that prayer and action are inseparable. WDP unites church women in prayer in 170 countries. It was during the worship Ms Biswas thanked Women Fellowship of Delhi Diocese for engaging in advocacy and promoting the campaign of AICCW/ NCCI- 365 Days Zero Tolerance to Gender Based Violence: Make it Happen Now! . She emphasized on the need to promote child rights and child protection policies and theme of WDP “Receive Children, Receive Me” is very relevant. Mavis Russel President of DWFCS - Dehli Diocese shared during WDP worship how women in her church are promoting WDP and reflecting prayer in action and responded to AICCW/NCCI campaign . The Women's Fellowship of Delhi Diocese have started 'Deborah Scholarship Project' to support children's education of widows and single mums. They are also in process of rehabilitation of women and girls in sexual slavery by providing them entrepreneurship opportunities and alternative training for survival. Children were very much part and parcel of WDP worship as there were children’s activities and liturgies in the WDP resource material. 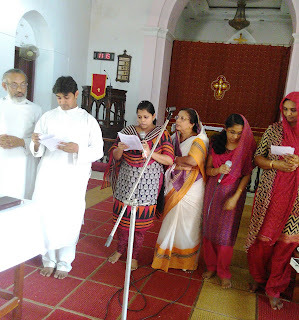 WDP provides scope for spiritual formation of children and promotes nurturing praxis oriented spirituality of children from tender age.Dr Saramma Varghese – President of AICCW from Orthodox Church introduced WDP worship in her local church for the first time . The Presbyterian Church of India commemorates WDP every year WDP in special way. Throughout the year every day women pray and in every home save a handful of rice to raise WDP offering. Revd Eben Jason from Church of South India ( CSI) WDP Convener of AICCW the month of January was preparing different women’s fellowship of Church of South India for WDP. Revd Jason is dedicated her life and engaged in ministry in creating awareness in grassroots communities and local churches in Tamil Nadu state to end Female infanticide and fetocide. “Our girls children are precious and created in image of God. 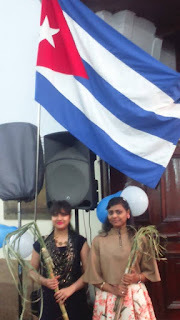 The theme this year of WDP we prayed for Cuba also it helped us to engage nurturing spirituality to save our girl children in India,” opines Revd Jason. 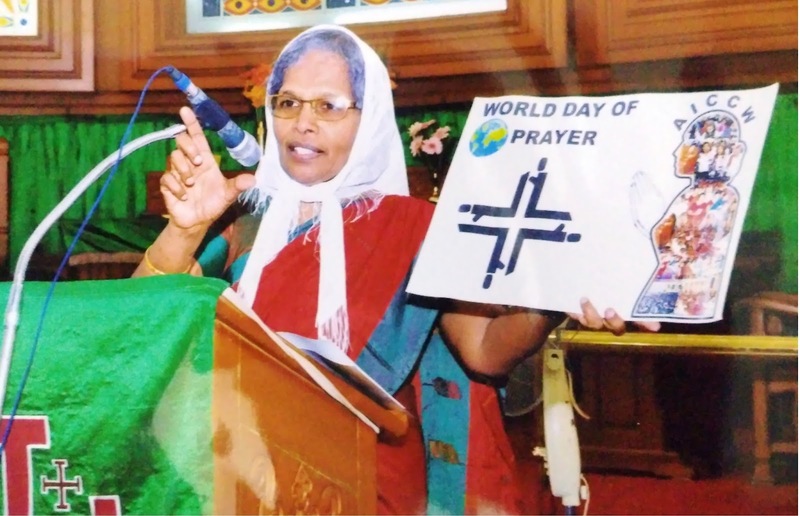 Dr Leelavathi Manasseh Director of Church Relations and Resource Mobilization of Bible Society of India reported WDP worship was organized in Bible Society, Bangalore.In Hindustan Covenant Church Annie Bhonsle played crucial role in promoting WDP in her own church. WDP was commemorated in Marthoma Syrian Church though out India . Mrs Litty Jose General Secretary of Marthoma Suvishesa Sevika Sanghom, (Marthoma Women's Fellowship) and Mrs Susamma George from same church- Executive Committee member of AlCCW promoted WDP in their own Church. Marthoma Women's fellowship supports an Orphanage of 135 girls and some mentally challenged children , Project Balika Bhavan - supporting education 50 girl children from vulnerable background, Snehateeram - Half way Home for Women for abandoned women and women with psychiatric problems due to stigmatization and violence. 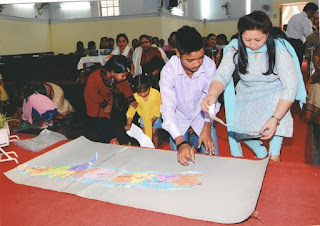 During the Women and Gender justice Forum or Pre Assembly of National Council of Churches in India on 14th -15th March there was reflection and Bible study on the theme “Receive Children, Receive Me. “ facilitated by Rev Dr Ipe Joseph – General Secretary All India Sunday School Association ( AISSA). The aim and goals of WDP was promoted in this Forum. AICCW is requesting Women’s fellowship of member Churches to send their WDP reports and their offering graciously. WDP International Committee through these prayer offerings support projects and programs and initiatives of women for justice and peace throughout the world. Dr Roger Gaikwad General Secretary of NCCI congratulates and thanks women’s fellowships of member churches of NCCI in India and WDP International Committee and Cuba Committee for all their commitment for praxis oriented spirituality to promote WDP.